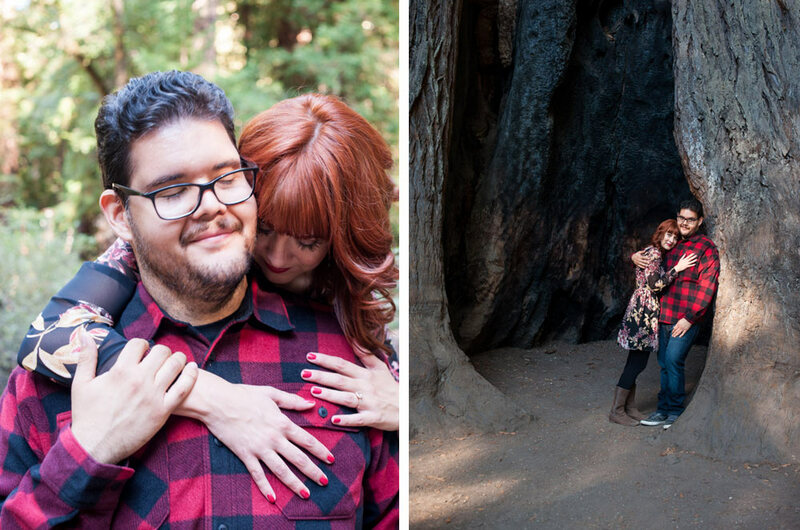 Our first time meeting Maren and Marcos was at their engagement session at Big Basin State Park. We've been working with these two for a couple of months now over email and we were really excited to finally meet and shoot with them before their wedding this December. 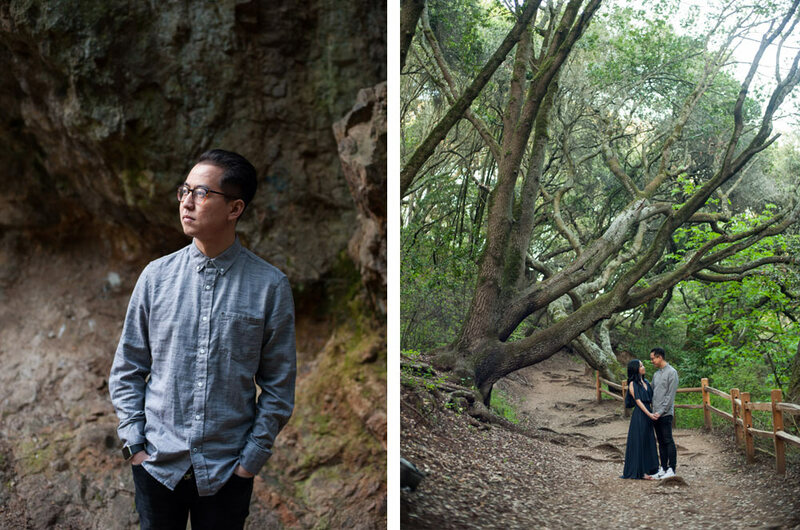 We worked closely with the couple to find a location that had some significance to them and ultimately we decided on Big Basin in the Santa Cruz mountains. The park served as an amazing backdrop. We really enjoyed using the landscape and the late afternoon light to get some fun, candid shots. Maren and Marcos were a blast to work with and we're really looking forward to what sounds like an amazing little wedding come December. Paul and Joann are just the cutest! 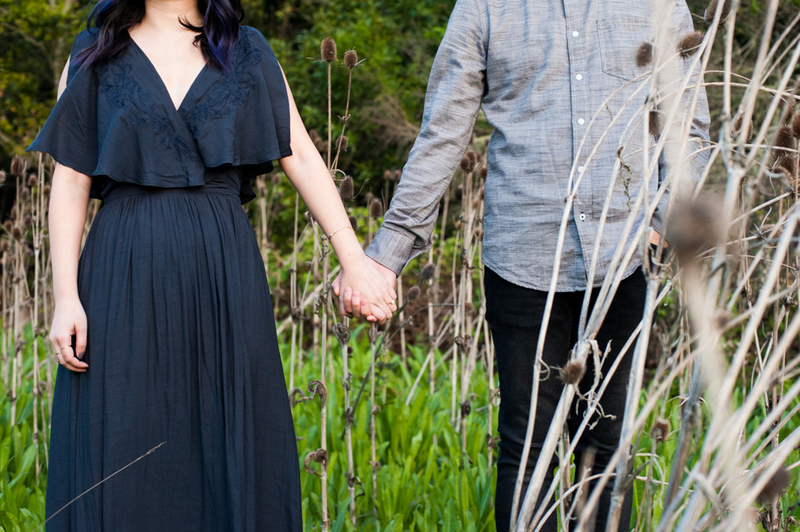 We had such a great time rolling around and exploring during their engagement session in Tilden Park. We met the two of them near Little Farm and hiked, OK more like light hiked, around some scenic spots. This park is such a great location and right in our own backyard! One minute you can have some really great open landscape and a quick walk away you can enter a canopy of green growth. We've been shooting a number of engagement sessions lately as part of our "full collection". The collection includes an engagement session, wedding coverage, and a free album. We're stoked people are taking advantage of it! For more info about our collections, visit our wedding photos page. We really look forward to more engagement sessions this season and definitely can't wait to shoot with these two for their upcoming wedding. Well, weather certainly has been a bit soggy lately! While that's a great thing for our parched state, it puts a bit of a crimp in our shoot schedule. Luckily last weekend we managed to pull off a super nice day down south for a fun engagement session in Santa Cruz. Stormy weather subsided and left us with some great atmosphere late in the afternoon. We loved working with the light that day and had fun building shots around the lighthouse and nearby green space. Prior to the shoot Kate and Brody asked us if they could bring their pup Charlie along too. Are you kidding? We love when our couples include their special friends! A great little trip and we love the images. Cheers to Kate, Brody, and Charlie! See you all soon! Since we started out (9 years ago! 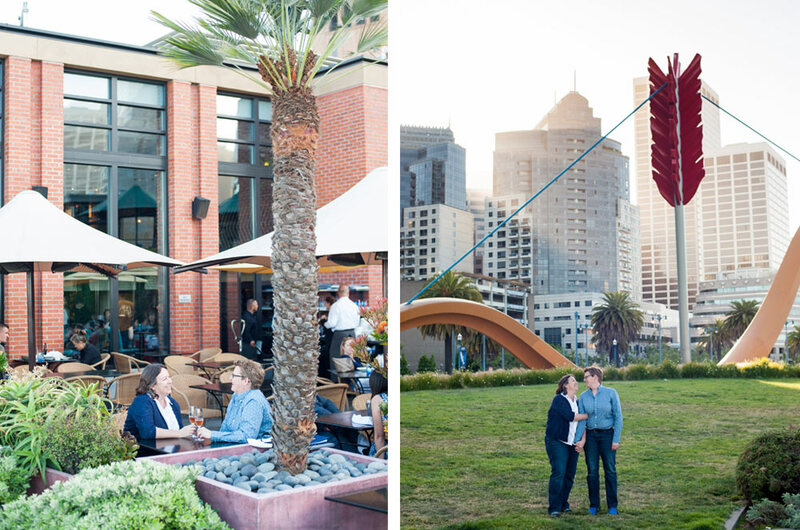 ), we've offered engagement photos in the Bay Area. To be honest though, we don't shoot a whole lot of them. Weddings are expensive and every client out there is on a budget. Over the years we've heard that other photographers make their engagement sessions mandatory. That feels weird. We love shooting these sessions but don't consider them to be necessary for getting to know our clients. That being said, we love doing them! They're lots of fun and a good way to tackle those save the date photos. We recently reworked our engagement sessions to make them a little more accessible and a little more simple. Our sessions take place on location and are 30 to 45 minutes in length. Plenty of time to capture lots of candid, natural portraits of you and your partner. Sessions include an online client gallery to share with friends and family, as well as access to all of the edited high resolution images for download. Our sessions are $250 (for 10 edited high resolution images, additional images $10 each) or $300 (all of the edited high resolution images). You're excited for your wedding and so are we! Let's go take photos!